With so many gadgets in the market, especially when it comes to smartphones and laptops, it can be overwhelming to make a choice. Here’s a simple list that can help narrow down your options. Want a lilac body with turquoise grip? 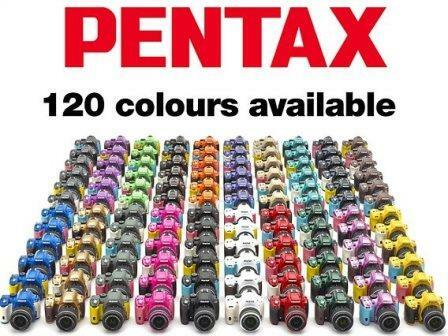 With latest Pentax K-50, users can experiment with 120 color combinations that allow purchasers to choose a different colored body, grip, and lens that wished. Photography enthusiasts are currently raving about Pentax’s K-50 digital SLR, which offering 81 weather sealing, 16 megapixel APS-C image sensor, 100% optical pentaprism viewfinder, fast 5.9fps burst shooting, and image stabilization. Sony was merged the creative power of premium compact camera with the convenience and connectivity of today’s smartphones or tablet. Sony’s unique lens cameras are now officially coming to you beginning later of September 2013. 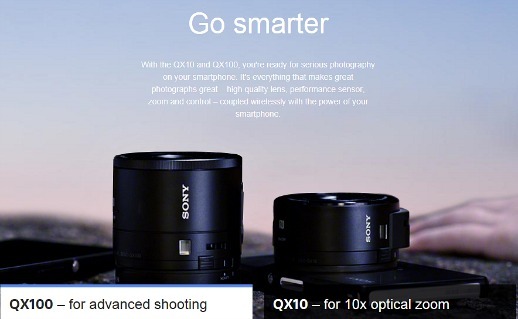 As expected, there are introduced two “lens-style” QX series cameras which will bring new levels of fun, creativity and experience to the mobile users. With these creative new products, it will represent not only an evolution for the digital camera fields, furthermore with cooperation technology between smartphones and cameras. The Japanese consumer electronics giant, Panasonic, has announced the successor model to its Lumix GF5 Micro Four Thirds camera, named as Lumix DMC-GF6, which adopts Wi-Fi connectivity complemented with NFC (Near Field Communication) for easy pairing with iOS/Android-based tablets or smartphones, allowing users to perform one-touch remote shooting, live view capability and easy precious moment sharing right on their mobile devices. 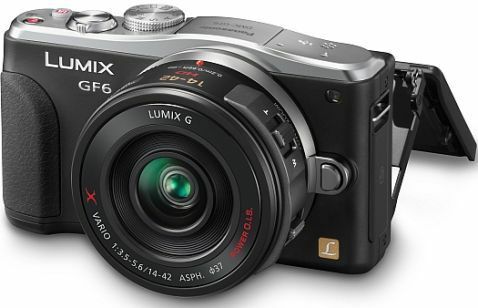 According to Panasonic, the Lumix GF6 interchangeable camera features an array of enhancements that can help in shooting experience such as Low Light AF, Light Speed AF, Venus Engine, multi-process noise reduction system and etc. Nowadays, most handsets are equipped with a camera are built more towards taking care of the needs of quick-shot, and therefore they can’t offer performance comparable to that of digital SLR camera. 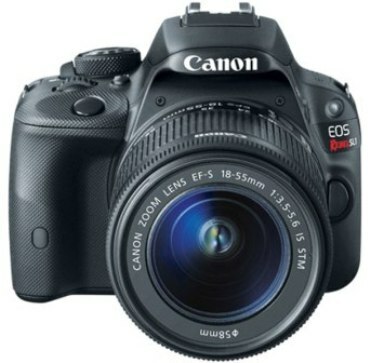 But dedicated digital SLR camera is often bulky. Good news for folks who seeking for ultra-portable, compact size D-SLR camera with no compromise on image quality! The well-known digital imaging giant, Canon has officially announced the launch of Canon Rebel SL1 (also known as Canon EOS 100D in other regions), which the company claims as the world’s smallest and lightest DSLR camera to date. According to Canon, this new baby is noticeably smaller and lighter (about one-quarter smaller and lighter) while compared to the EOS Rebel T4i DSLR (also known as Canon EOS 650D). Can you imagine a camera the size of 26mm x 26mm x 28mm? Maybe you would say it is unbelievable because it is just as big as your eye-pupil! However, in actual fact, the China’s largest consumer electronics wholesaler – Chinavasion, has unveiled a camera named CVMV I95 with this tiny dimension. It can even function as a digital video recorder. Samsung has lately rolled out its latest ultra slim digital camera Samsung ST50. Measuring 94.2 x 55.7 x 16.6mm in dimension, the pocket size camera is about 121g. With its 3x optical zoom lens, 2.7″ LCD display and 12.2 Megapixel resolution, the tiny camera is ideal for taking shots in special events and outdoor activities. Not all digital cameras come with built-in GPS receivers that enable users to easily geotag their photographs. That’s why German company JOBO AG introduced the new photoGPS, an add-on camera tool that allows user to capture and store GPS data and real address information easily.